Prague the capital of the Czech Republic is home the the British Embassy in the Czech Republic.If you have any questions with regards to a marriage visa, fiancee visa or a visitor visa for the UK then you need to contact the Embassy in Prague who will be able to give you the best advice with regards to immigration to the UK and how best to do this. 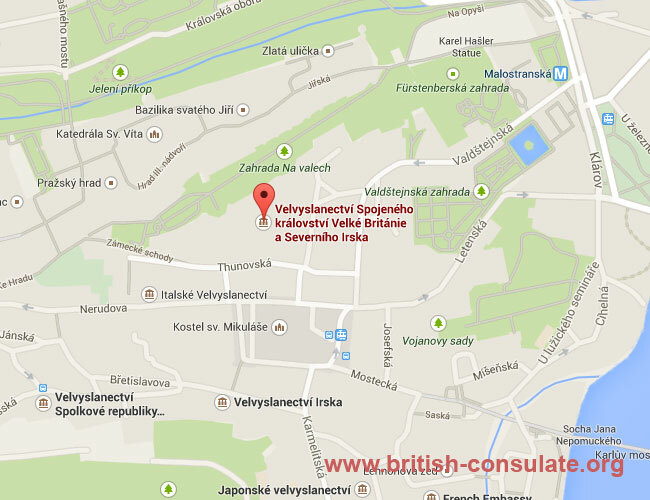 You can also speak to them about renewing your British passport or applying for a new British passport while there. The telephone number, a map and email address has been added to make it easier to contact them if you are going in person. You may also see the operating hours of the British Embassy listed below.